Christmas has come and gone and I’m kind of sad. I prepared for Christmas since after Thanksgiving and it’s all over in just one day! 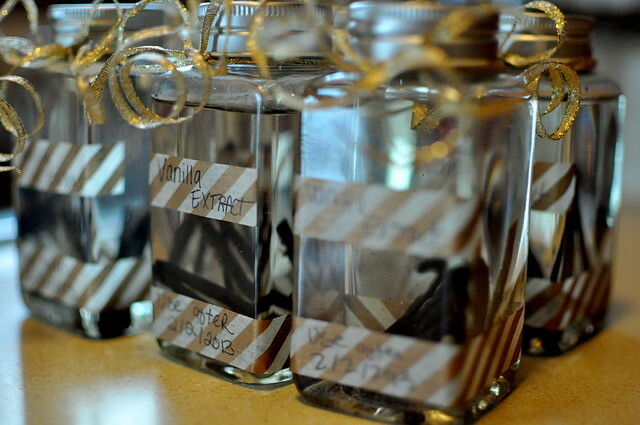 One of the more fun things that I did for Christmas was give out homemade vanilla extract. This has been something I’ve been wanting to make, so why not give it out? It’s pretty simple. 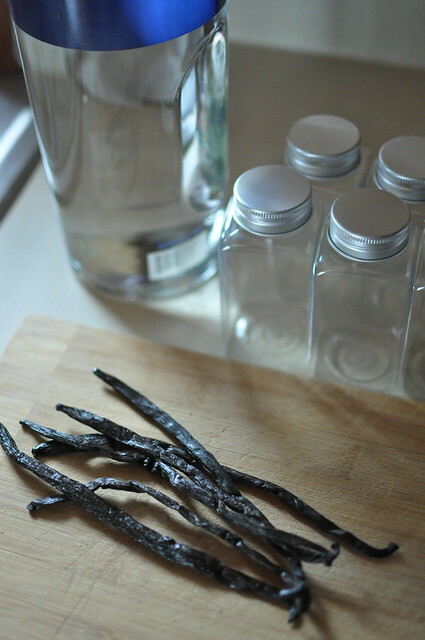 You get some vanilla beans, plain vodka, and dump it all into bottles. OK, there’s a little more method behind the madness. 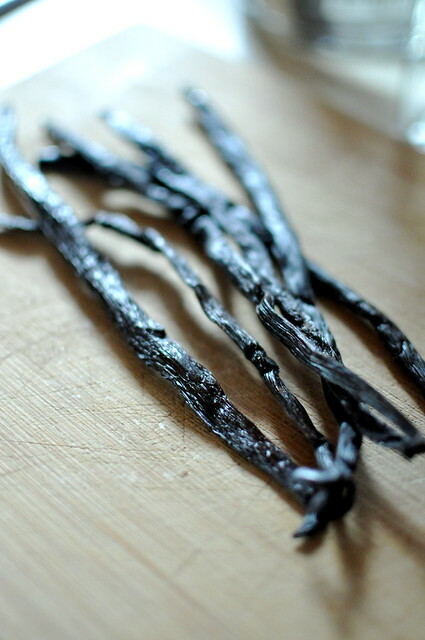 I ordered vanilla beans from beanilla.com. They had the BEST price I could find and I was not dissapointed with my order. Thumbs up, beanilla! I will be ordering from you again. I found 6 oz. bottles at Michael’s which is a perfect size. The ratio was 6 oz. of vodka to one vanilla bean. Split the bean down the middle and then cut in half. Do NOT remove the seeds. You can leave them in the pod. Put the bean in the bottle and fill with vodka. Let it sit for 6-8 weeks. All I need to do is work on my penmanship. 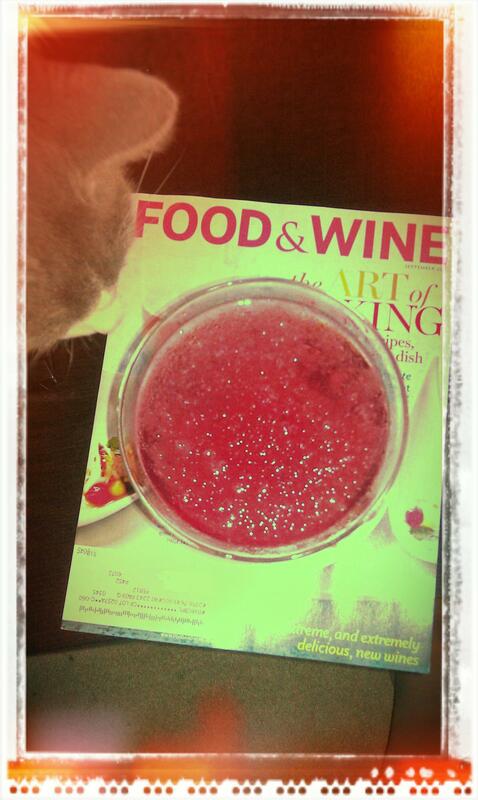 I’m pretty sure I’ve blogged about the frozen cosmo… not 100% sure so I’m doing it again! 🙂 Thank you Harris Grill for the inspiration. even the cat wanted to get in on this, too! i love dirty martinis. i think it is the most fantastic drink you can have. i will order a dirty martini just about any place i go. someone once told me that a certain entertainer likes to do shots of vodka and chase them with pickle juice. while i can’t prove this, the thought of vodka and pickle juice intrigued me and i thought – why not a pickle martini? i’ve never seen one on a drink menu and i only have seen a handful of posts of them online. being a martini lover that i am, i decided to shake one up at my personal bar. I used Claussen’s kosher dill pickles. After a few tests of the Pickletini, this one was the best, hands down. 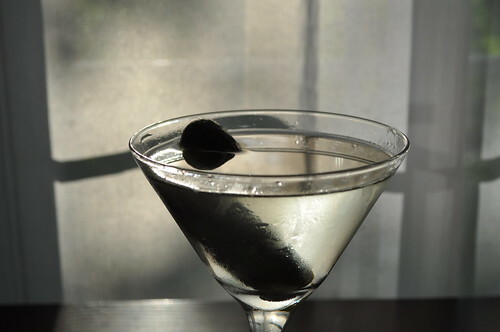 place an ice cube and water in a martini glass and put it in the freezer for a couple of minutes. fill a shaker half way with ice and add the vodka and pickle juice. shake hard 4 or 5 times. remove cocktail glass from freezer and empty out the water. before adding the mixture, swirl around a few dashes of vermouth in the martini glass and pour out. add the vodka and pickle juice mixture and garnish with a pickle.